These Stations of the Cross are on the hill next to the Rectory, an area also used for winter snow storage. 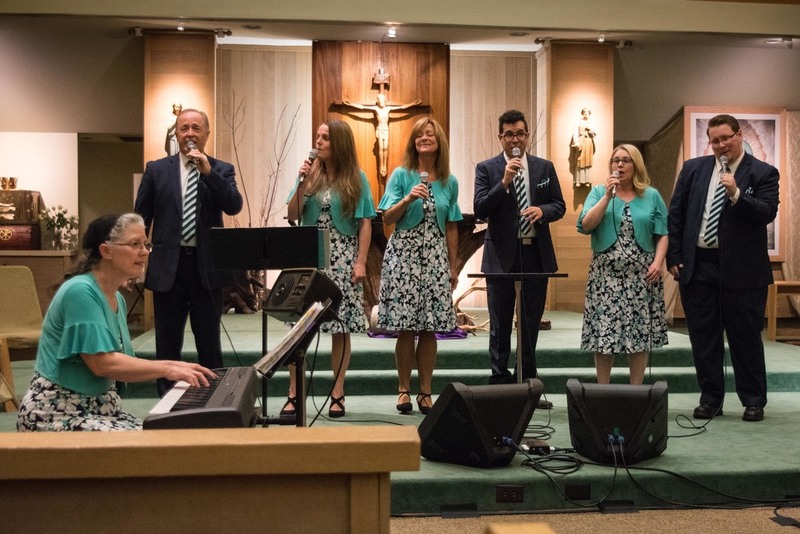 The St. Joseph Trio, Susie, Patricia, and Grace (l - r), leads the singing at Easter Mass on April 21, 2019. 58 Ranch Road, On the SW Corner of Old Mammoth Rd. and Ranch Rd., 1.5 miles from Main St.
Click here to view the Celebrant Singers website.